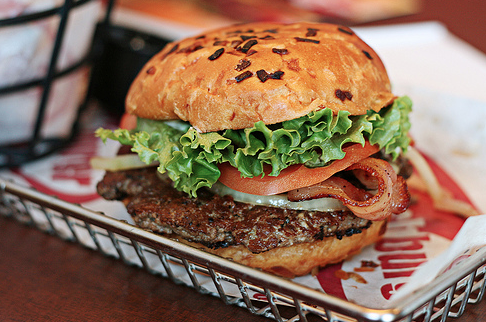 Smashburger Takes The Top In The Fast Casual Dining Experience! If you haven’t heard of Smashburger yet, don’t worry; soon enough, this new fast casual hit may be coming to a neighborhood near you. While we are huge fans of Smashburger and proud to announce 22 locations owned by Savin Foods coming soon, Smashburger is truly unique in its size, its early career in the industry and the fact that their are so many huge, highly recognized contenders such as Panera Bread, Chipotle and other fast casual spots. Below is the full article and insight as to Smashburgers new success and fame at the top of the charts. If you get the chance however, make sure to try it. The food speaks for itself.